In the lead-up to Doctor Who’s 50th Anniversary the Radio Times has been running an online poll on the Greatest Companion Ever. Voting has now closed and the results will be announced on the anniversary date, 23 November 2013. Today and for the following two days the Doctor Who Mind Robber will be ruminating on our Top 3 Female and Male Companions of the Sixties, together with the 3 companions who failed to live up to our expectations. Your comments on our choices would be greatly appreciated. I have to admit I really liked Vicki. Young, perhaps no more than 17, she had a vibrancy that had been missing in her predecessor, the Doctor’s grand-daughter, Susan. As a former secondary school teacher I envied the way she was schooled. In The Web Planet Vicki incorrectly assumed that Barbara had taught at a nursery school because they “worked upwards from the three Rs.” The curriculum of Coal Hill School in 1963 seemed like child’s play to her. At the age of 10 she took a certificate of education in medicine, physics and chemistry. When asked by Barbara how long she spent in the classroom Vicki was totally perplexed. She’d spent almost an hour a week with a machine. Life in 2493 must have been a child’s dream existence! 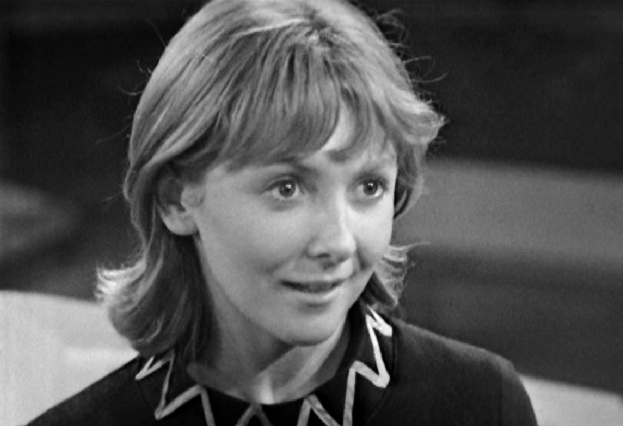 Vicki was a member of the TARDIS Crew in episodes which screened from 2 January 1965 until 6th November 1965. 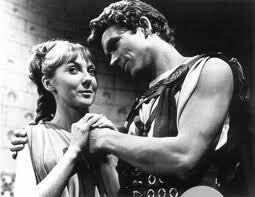 In just under 12 months Vicki had gone from an orphaned girl stranded on the planet Dido to the love interest of Troilus, son of the King of Troy. During that time, however, there was little in the way of character development. Save for when we met Vicki in The Rescue and she was clearly suffering from the effects of Bennett/Koquillion’s abuse, she remains a vibrant and forthright young woman throughout. As I have previously lamented, it was a shame that the opportunity wasn’t taken to examine the long term effects of this abuse on Vicki, however my concern for Post Traumatic Stress Disorder plainly comes from a 21st century perspective. This absence of character evolution says much about the 1960′s perception of women, particularly young ones. In the 1960s the median age of first marriage for women was around 20 years of age. Career opportunities were limited and pay was not equal. Although unable to locate figures for the United Kingdom, Australia as a Commonwealth country would have been reasonably similar. Until 1966 the Australian Public Service required single women to resign from their positions on the eve of their marriage. Equal pay was not granted until 1972. Is it any surprise, therefore, that women were portrayed as either children or mothers? With women having perhaps only five years between leaving school and marriage, this period between childhood and motherhood was marginalized and frequently forgotten. Vicki – I hope that tasted nice! When we first meet Vicki she is in a stereotypical role as carer for Bennett. As Bennett is supposedly crippled and unable to work, Vicki is compelled to undertake all the chores including collecting water, cooking and cleaning. She isn’t seen to complain about this notwithstanding the absence of any thanks from Bennett. 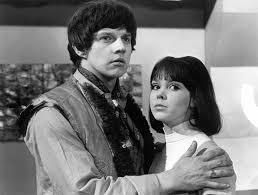 Once a member of the TARDIS Crew, Vicki is somewhat of a companion for the Doctor – a faux grand-daughter, if you like. The Doctor has someone to fuss around, care about and instruct. She provides him with moral support and most probably a sense of identity. She is close by his side in The Romans and The Crusade and does not distance herself in any great manner until The Space Museum, where she becomes involved with the young Xeron rebels and seems to start a revolution for fun. A potential love interest comes to nothing. Although coupled with Steven for much of The Time Meddler, Vicki is back at the Doctor’s side during Galaxy 4. In her final serial, The Myth Makers, Vicki is again separated from the Doctor but only because he’s compelled her to remain in the TARDIS because of a sprained ankle. As was the case with both Susan and Barbara, female companions in Doctor Who are overly susceptible to wrenching their ankles. They require time to recuperate from such injuries, unlike Ian who was frequently knocked unconscious and seemed able to get up, and shake it off, each time. Quite phenomenally Vicki is capable of falling in love with Troilus in less than 24 hours, most of which time she was a prisoner in a dungeon. This love affair was even quicker than Susan and David’s in The Dalek Invasion of Earth. Having pleaded with the Doctor in The Crusade not to leave her as the TARDIS was her only home, Vicki was extraordinarily quick to leave its confines in The Myth Makers. The television audience is not even privy to Vicki’s farewells to the Doctor as they take place out of camera shot inside the TARDIS. The Doctor, nonetheless, appears satisfied with her explanation which seems to have been that she didn’t want Troilus to think she had betrayed him. Although spending one’s life travelling in a blue wooden box through time and space may appear somewhat aimless, it’s certainly more secure than with a bloke you’ve only known for a day; in a time several thousand years before your own; and in a land where your love’s home City has been destroyed. Ever quick to point out logical flaws in a witty manner, Wood and Miles in About Time 1 couldn’t help but extrapolate on a grave problem that Vicki and Troilus would be confronted by. As the TARDIS translates languages for the benefit of the Crew and persons they meet along the way, once it had left then the two lovers would be unable to communicate with each other. Unless, of course, Vicki had learnt Ancient Greek, the language that Homer attributes to the Trojans in Iliad, in school! Aside from the characterization failures in Doctor Who, the reality of Maureen O’Brien’s hasty exit from the role of Vicki appears to lay in programme’s change of producer. According to Howe, Walker and Stammers in The Handbook, O’Brien had been cast by Verity Truman having been suggested by one of her former drama teachers who then was in the employ of the BBC. The new producer, John Wiles, replaced Truman beginning with the production of The Myth Makers, although he had shadowed Truman during the making of Galaxy 4. 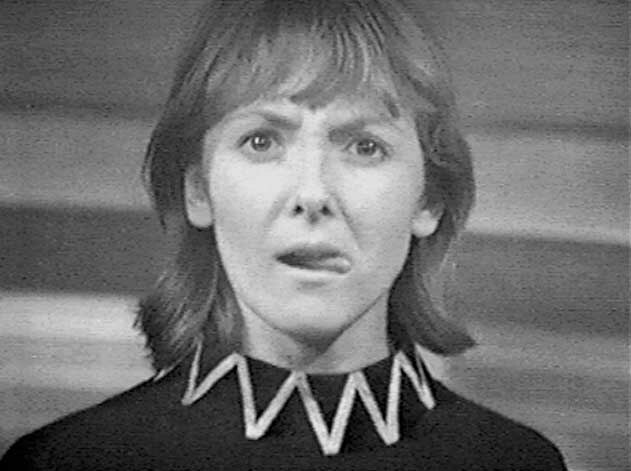 Wood and Miles argue that “Wiles had noticed her tendency to pick holes in the dialogue during rehearsals for Galaxy Four, and made arrangements to have her removed while the cast were on holiday”. 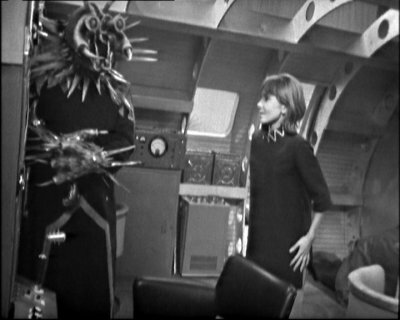 It was on her return from a week’s break given to the regular cast whilst Mission to the Unknown was filmed that O’Brien heard of her dismissal. Although the new character of Katarina was going to replace Vicki it soon became evident to Wiles and story editor, Donald Tosh, that Katarina’s Trojan naivety would make her an unsuitable companion. It’s for that reason that Katarina was just as hastily written out of Doctor Who in the fourth episode of The Daleks’ Master Plan. So ends the less than a year long tenure of Maureen O’Brien as Vicki. This was but the beginning of a revolving door of companions which would grace the screens of Doctor Who over the next several years. 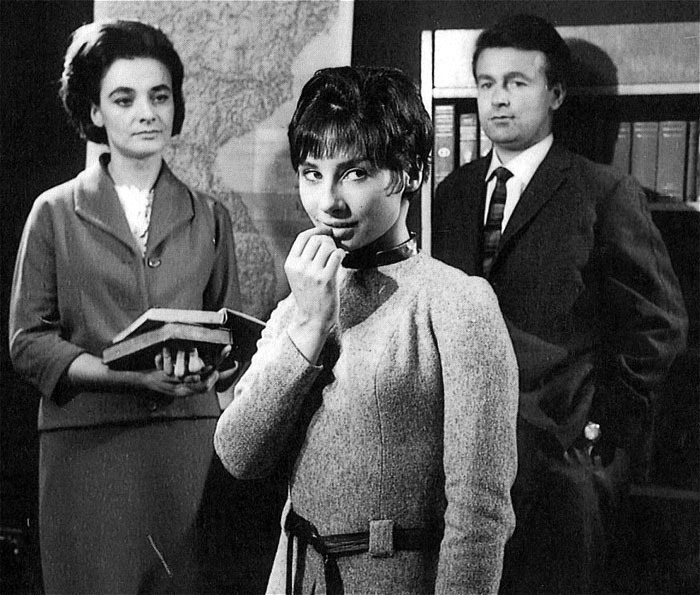 Barbara first met the Doctor when she and fellow Coal Hill School teacher, Ian Chesterton, went to 76 Totter’s Lane to check on the welfare of one of their students, 15 year old Susan Foreman. Kidnapped by the Doctor after they entered the TARDIS, Barbara and Ian remained with the Doctor for two years until they took control of the Dalek time-machine at the end of The Chase. Their return to 1965 London was a joyous occasion as snapshots of them frolicking before prominent landmarks were flashed up on the screen. 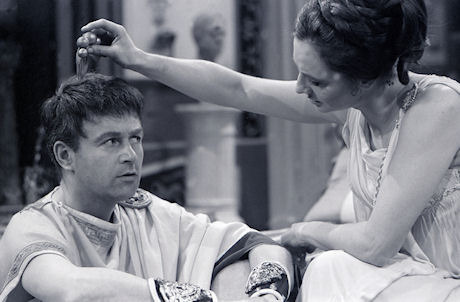 Barbara’s excellent knowledge of history was useful during the Doctor’s early journeys and undoubtedly assisted the programme’s mandate to both entertain and educate. She was more accepting of the unknown than Ian and was quicker to acknowledge that the tales that the Doctor and Susan spun about the TARIS were indeed true. When the TARIS crew visited South America in The Aztecs she was able to draw upon her knowledge of Spanish settlement and traditional Aztec culture and religion. That, unfortunately, led her to the false belief that by assuming the mantle of the reincarnated priest, Yataxa, that had been thrust upon her, that she could change the course of history and end human sacrifices. 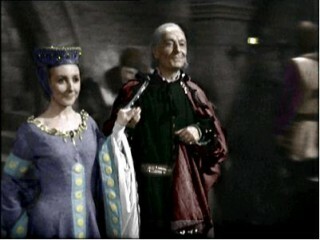 The Doctor was quick to point out to Barbara the folly of believing that history could be altered. She was also able to utilize her knowledge of history in The Dalek Invasion of Earth when she bamboozled the Daleks with some historical falsities and in The Reign of Terror, when she was able to identify the period of French history in which they’d materialized. Unusually for a woman in her mid thirties, Barbara wasn’t married. Perhaps the negative stereotype of spinster school ma’ams had been adopted here. Barbara was not without romance, however. She came upon several suitors during the course of her companionship, although none matched the tenderness of her relationship with Ian. Although never openly remarked upon, it was clear that Barbara and Ian had become more than just colleagues. Their joyful banter whilst reclining in luxury during The Romans was indicative of a particularly strong personal relationship. The tenderness between Barbara and her fellow companion Ian was undoubtedly a silent nod to a love that couldn’t be broached on Saturday tea time family TV. One can only dream that they became a couple and lived in marital bliss upon their return to earth. 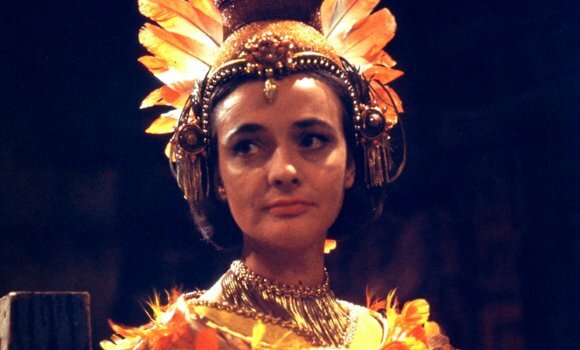 The character of Zoe was arguably the first companion in Doctor Who to reflect the changing views on women that arose with the second wave of feminism. A teenage genius, Zoe first met the Doctor and Jamie in final serial of Season 5, The Wheel in Space. She remained with the Doctor until the end of the monochrome era when all three stars left in the final episode of The War Games. My review of The Wheel in Space included a detailed introduction to Zoe. She was an astrophysicist and astrometricist first class and employed as the Wheel’s parapsychology librarian. Her perfect recall of scientific facts and ability to undertake mental calculations faster than a hand-held calculator were the consequence of her being brainwashed by the City’s educational institution. She had total faith in the ability of pure logic to provide all the answers required. Zoe’s future adventures would soon show this to be a folly and the Doctor quickly, but tactfully, advised her on the limitations of logic alone. Perhaps the Second Doctor’s most famous quote was to Zoe in The Wheel in Space when he stated, “Logic, my dear Zoe, merely enables one to be wrong with authority”. Zoe was the first companion with an intellect to match the Doctor’s. Zoe’s extraordinarily high intelligence was remarked upon several times in The Krotons. She told Selris that the “Doctor’s almost as clever as I am” whilst earlier the Doctor had said to him, “Yes, well, Zoe is something of a genius. Of course it can be very irritating at times”. In The Invasion she blew up the automated answering machine at International Electromatics by presenting it with a ALGOL problem that it was unable to answer. She also assisted in the destruction of the entire fleet of Cybermen ships by mathematically calculating the correct alignment and course of projectile for the Russian missiles targeted at the ships. The Seeds of Death saw her piloting a space rocket. The Doctor, however, was never seriously concerned by Zoe’s brilliance. There was no sense of threat and never a suggestion that her intellect was unbecoming of a young woman. That’s not to say that Zoe didn’t escape entirely from the scourge of sexism. In The Invasion the UNIT soldiers’ praise for Zoe masked an underlying sexism when she was described as “prettier than a computer”. Zoe challenged assumptions on the role of women more by her deeds rather than by words. On at least one occasion, however, she verbalized the thoughts of women of that era. Undoubtedly buoyed by the support of Isobel Watkins in The Invasion, Zoe took offence at Jamie’s sexism when she stated “Just because you’re a man you think you’re superior, don’t you”. Zoe’s relationship with Jamie, however, was otherwise positive. Although less intellectually capable than his friend, Jamie is never mocked or derided by Zoe. 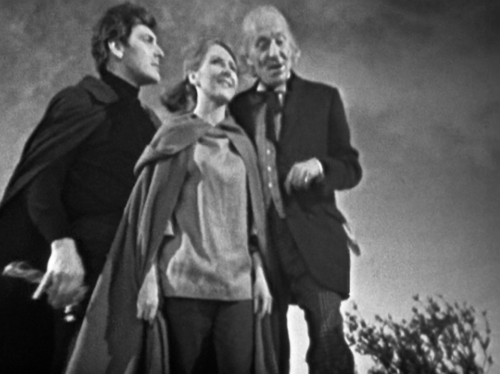 Both Zoe and Jamie were returned to their own time in episode 6 of The War Games, with their memories wiped of all but their first adventure with the Doctor. Donna Noble was not the first to suffer this fate. The Doctor’s companions’ departures were heartbreaking and perhaps the most poignant of Classic Series Doctor Who. The top image is courtesy of www.deviantart.com. Artwork by Shawn Van Briesen. No copyright infringement is intended. 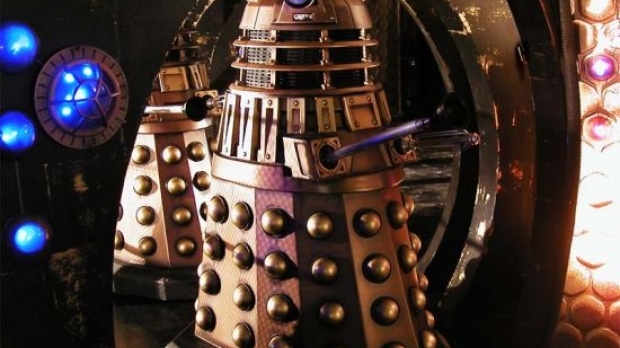 With all the hype surrounding Doctor Who’s 50th Anniversary on 23rd November, the 50th birthday of the Doctor’s oldest and most deadliest foe, the Daleks, looked like it may well have been forgotten. Born on the screens of the United Kingdom’s 405 line black and white TV sets on 21st December 1963, the Daleks have appeared in over 30 Doctor Who serials, together with a number of cameos and flashbacks. They have battled against 10 of the Doctor’s 11 incarnations and have been killed and resurrected more times than Rory Williams! 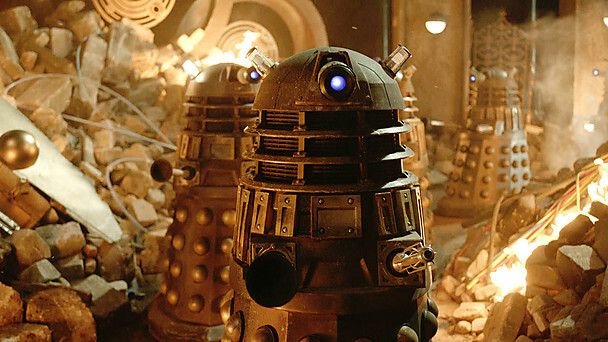 The BBC has today announced that the Daleks will appear in the Doctor Who 50th Anniversary special, together with the shape shifting Zygons who will make only their second appearance – 38 years after their first. Details of the nature of the Daleks battle with the Tenth and Eleventh Doctors, together with John Hurt, a hitherto unknown incarnation, have yet to be revealed. 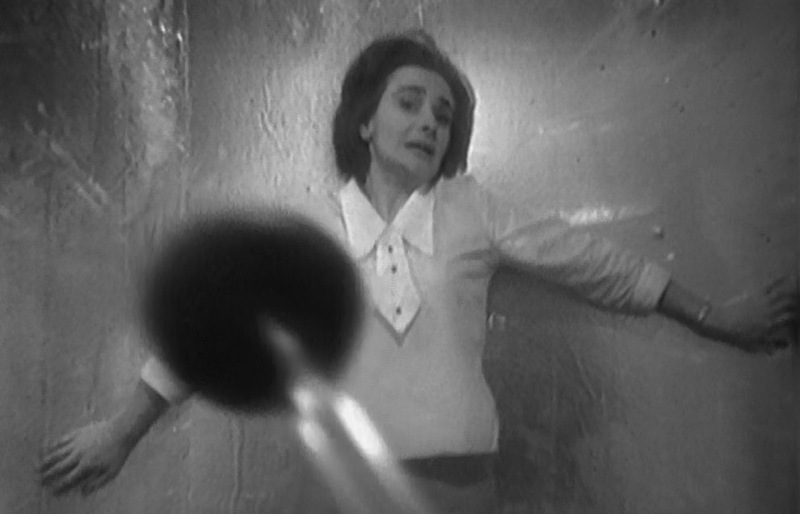 Let’s hope it’s as memorable as the closing shot of 1963’s The Dead Planet where companion Barbara Wright is pinned in fear against wall. Barbara’s screams indicated the presence of a terrifying foe, although for the next seven days the audience could only but imagine what the strange rubber object on the end of a metal rod was. The Daleks were born and there was no looking back. Without the Dalekmania which followed their first story, it’s unlikely that Doctor Who would have celebrated its first birthday, let alone its 50th. Long live the Daleks and may we look forward to another 50 years of terror!